Jolene Keim was 19 years old when her parents died. Not wanting to see her five younger siblings parceled out to relatives, Jolene decided to accept the responsibility of raising them herself, even if it meant postponing her wedding and setting aside all of her own dreams and hopes. Ten years later, Jolene is still single and the youngest of her siblings are now teenagers. Her brother Ray was struck by lightning when he was a small child and still deals with the effects of that, including unstable emotions. Ray is one of the point of view characters and we get to watch him struggle with making good choices, choosing friends wisely, and how to recover when you really mess up. Although Jolene has done a remarkable job adjusting to the demands that life thrust upon her, she still carries grief and a little bitterness over her engagement that ended not long after her parents' deaths. The commitment of raising five youngsters was too much for that relationship to handle, and she's had to watch as Van has moved on in ways that really hurt her. Now she and Van must work together for the first time in all these years, helping a friend who has agreed to let the Humane Society use his property as a shelter for horses rescued from abuse situations. Also helping with the rescued horses is an Amishman from another district. Andy Fisher has been raising his son by himself for several years, ever since his wife walked out on him. Jolene misunderstands the explanation of Andy's marital status and thinks he is a widower, and she begins to allow herself to hope that the friendship blossiming between them can grow to be more. Andy greatly admires Jolene but he knows he can never be anything but a friend. With the inevitable revelation that Andy is married, and the situation with Van bursting with frustration, Jolene's heart may know greater brokenness than any it has felt before. I felt a kinship with Jolene, because I have also chosen to help raise my younger siblings, although it's for other reasons than my parents' death. It is a very non-traditional path, holding its own sorrows and fulfilling joys. It gave me a little more emotional investment in the book, because I wanted Jolene to have a happy ending the way I hope I will have a happy ending. I can't tell you how it ends, but I do know that our God sees every sacrifice that we make for the behalf of someone else. He sees and knows, and He loves those under our care far more than we ever could. For those of us still waiting and wondering how our stories will unfold, He is worth trusting. 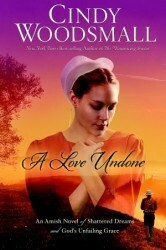 Click here to read the first chapter of "A Love Undone". 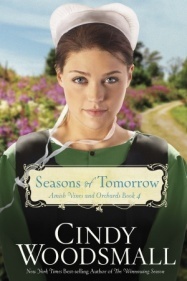 Gifted horticulturist Rhoda is on the verge of setting off to the new Amish settlement in Maine when Samuel King's well-meaning efforts put the whole move in jeopardy. Her church leaders have never felt comfortable with Rhoda's keen intuition, and decide at the eleventh hour to hold an open meeting in an attempt to discredit and shame her. Stalwart Rhoda has faith that things will work out the way they are supposed to, but she is sad her new friends the Kings will finally see the way her community has treated her ever since she was young. Samuel only desired to help Rhoda in getting the church leaders involved, but now feels terrible that he unintentionally put his friend and business partner in hot water. He has staked everything on starting the new colony in Maine and restoring the apple orchard there. Meanwhile, Samuel's brother Jacob, who is courting Rhoda, finds he cannot be there to support her in her hour of need because the secrets of his past are calling him away. Why did they have to come up now, when he was beginning to believe he could have a fresh start with Rhoda? Will he ever be free of his sins? His absenses begin to stretch into weeks and months, and Rhoda's penchant for finding herself in trouble have her needing a friend more than ever. As they fight to weather their respective storms, their relationship may not be strong enough to survive. 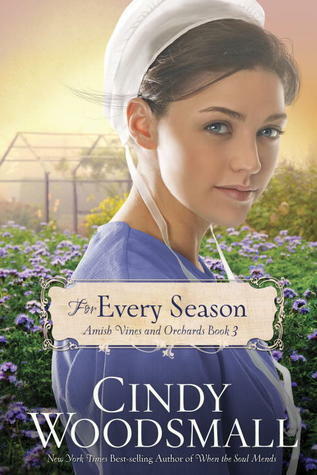 This second book of the "Amish Vines and Orchards" series focuses on faithfulness through trials. Rhoda, Jacob, and Samuel all desire to do the right thing and for their struggles to be tools which draw them closer to God. I'm really not sure where the final two books will take our characters! It will be a while before I'm able to read them, but I look forward to seeing their stories through to conclusion in good time. 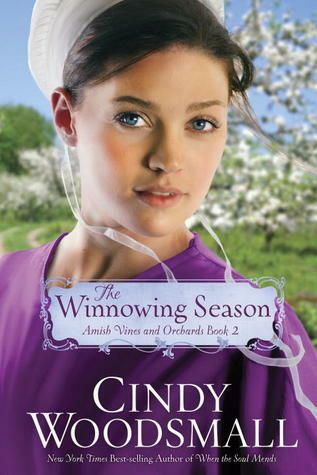 Cindy Woodsmall's "Amish Vines and Orchards" series kicks off with the story of Rhoda, a young woman with a few distinctive gifts. She is a green thumb extraordinaire, and she has uncanny intuition which has gotten her into much trouble. People are very distrustful of Rhoda's "seeings," and she feels isolated because of their superstition and fear. She takes great solace in growing berries and herbs, and has a thriving canning business called Rhode Side Stands. Samuel King lives in the next district over, and is the young owner of Kings' Orchard, which is struggling to keep afloat after a few years of bad harvests. When Samuel meets Rhoda and sees what a strong mind she has for horticulture and business, he begins to wonder if she might be the answer to helping Kings' Orchard become all it can be. He's pretty sure his longtime girlfriend Catherine wouldn't like him seeking a business partnership with a woman, so he decides to keep it from her until he knows for sure that Rhoda will accept his proposition. Other prominent characters in the story include two more King siblings. Brother Jacob spent a few years out in the English world and has a multitude of secrets which he is trying to keep anyone from uncovering. 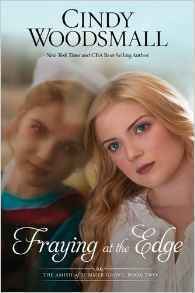 Sister Leah is a headstrong 17-year-old who wants to leave the Amish faith, but her bad decisions may catch up to her and force her hand in unexpected ways. When Jacob becomes interested in courting Rhoda, Samuel makes him promise not to mix romance with his hopes of a business alliance. This book had so many characters that it took me a long time to sort everyone out and get a feel for each one. Once I started connecting with them, however, it was hard to put the story down and I finished it quickly. The plot was woven together well and I was glad that I had the sequel on hand when I finished. One thing I really liked about the book was that hope and new beginnings were strong themes. Life isn't easy but knowing God is in control leaves us with so much hope. I look forward to following Rhoda's continuing adventures throughout the rest of the series! 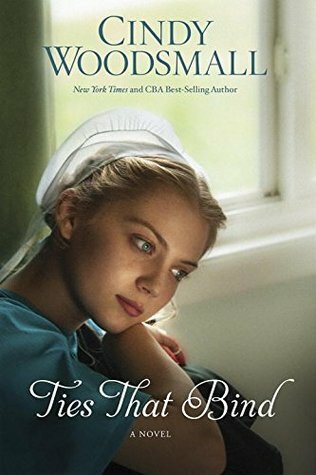 An Old Order Mennonite girl with a troubled family background falls in love with an Old Order Amish young man, burdened with a stutter and responsibilities within his own family. Strictly forbidden by their two different religions, Annie and Aden must decide if they are willing to risk everything to be together or if they will choose to honor vows made to their churches. Also figuring into the equation is Aden's twin brother, Roman, who was injured in a farming accident and is paraplegic. Aden functions as Roman's legs and Roman has often functioned as Aden's mouth. There's a reason that I tend to stay away from short stories and novellas. They just aren't satisfying to me in the same way a full-length story with plenty of plot development is. Everything just seems too easy because it happens too quickly; the life struggles that I identify with do not come into play. In this story the biggest hurdle was religious ostracism and, really, how many readers can relate to that? At first I thought that this story was going to be about two families as much as two people, and that would have been much more interesting, from my point of view. I'm used to Cindy Woodsmall tackling real and heart-breaking challenges and these just didn't strike me the same way. That said, Woodsmall is still an amazing wordsmith. I'll continue to read and hope to see more of what I've found in the Sisters of the Quilt and Ada's House series. "The Scent of Cherry Blossoms" releases to bookstores everywhere tomorrow, Feb. 21. You can already read the first chapter here. Thank you to Waterbrook Multnomah for my copy and for partnering with bloggers in so many ways! Please click here to rank this review. It only takes a minute! 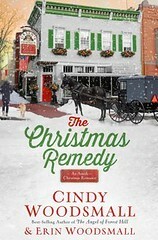 I just found out today that one of the few Amish fiction writers I will read, Cindy Woodsmall, has written a book about an Amish cake decorator! That's really cool, given that I have a cake decorating small business that I run out of my house. 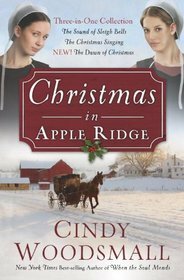 :-) And the reason I'm picky about Amish fiction is because I like it to be realistic and high quality, and nobody tops Cindy Woodsmall in that department! You can read the first chapter of "The Christmas Singing" at this link. Still looking for a gift for a special reader in your life? Between now and December 20 you can receive 30% off list price as well as free shipping on any book at WaterbrookMultnomah.com. Just use the coupon code CHRISTMAS11. I love free shipping... hurry on over and see what you can pick up! Don't forget to check out "The Christmas Singing"! Cara Moore had a rough upbringing in the foster care system and life didn't treat her well after she ran away at age 15. Now on the run from an abusive stalker, Cara finds herself grasping for one small hint to her past which she found hidden in her mother's journal. When she arrives in Dry Lake, PA, homeless and exhausted, the Amish community doesn't quite know what to think about her. It turns out they know a lot more about where Cara came from than she knows herself! Yet only one steps up to ...moreCara Moore had a rough upbringing in the foster care system and life didn't treat her well after she ran away at age 15. Now on the run from an abusive stalker, Cara finds herself grasping for one small hint to her past which she found hidden in her mother's journal. When she arrives in Dry Lake, PA, homeless and exhausted, the Amish community doesn't quite know what to think about her. It turns out they know a lot more about where Cara came from than she knows herself! Yet only one steps up to show Christ's love to Cara and her daughter Lori... and it may end up turning the community upside down. I was a fan of Amish fiction before it became hugely popular and now try to only stick with old favorites because some of what is being written just does not jive with the actual Amish I was privileged to live near and know during my teenage years. 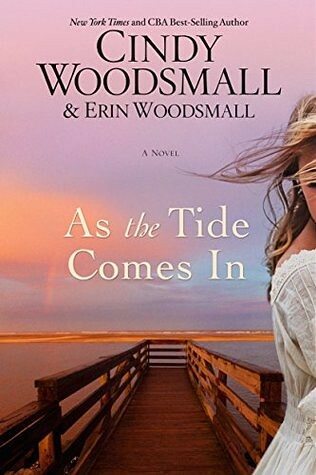 Woodsmall is an excellent author, although with this story I felt we got to the end and bam-bam-bam things wrapped up a little too nicely for the sequel coming up soon, unless the sequel is going to focus on a different set of characters. This second book in the “Ada's House” series picks up right where the first one left off. While the central character in this novel is schoolteacher Lena, others that we've come to know and love in “The Hope of Refuge” continue their stories through these pages as well. Lena is plagued by self-consciousness because of the birthmark on her face. She is convinced that no one can see past the blemish into her warm and fun-loving heart. Despite her fears she is quite a spunky lady and has come under the censure of the school board for following her own instincts and not the Old Ways to reach the children under her care. Someone in the community does not like Lena at all. A dark plot to destroy Lena's reputation and even her life takes form. Tragedies begin happening in the schoolyard. The community is soon polarized over this woman whose best efforts seem to fall flat on their face time and again. 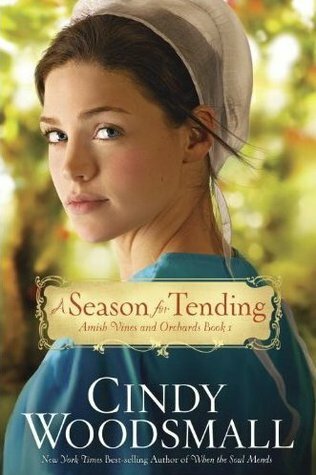 Cindy Woodsmall is an excellent writer, and while her stories do not ring completely true with my own experience of living near an Amish community in the Midwest, my interest was definitely held all the way through. It was a little confusing keeping all the characters straight and I thought it would have been helpful to have had a recap of who was who at the beginning. I had to chuckle when I turned the last page and saw there was indeed such a cast of characters, only it was placed after the story when it was too late to do the reader any good. Oh well. I've enjoyed this series and will be watching for the final installment coming in Fall 2011! You can read the first two chapters of “The Bridge of Peace” here.